5mins WALK (700m) to buses and new Metro station! 500m to Castle Towers and shops, cafes and gyms!! Price is for Single occupant -includes electricity, gas, water and unlimited NBN WIFI. 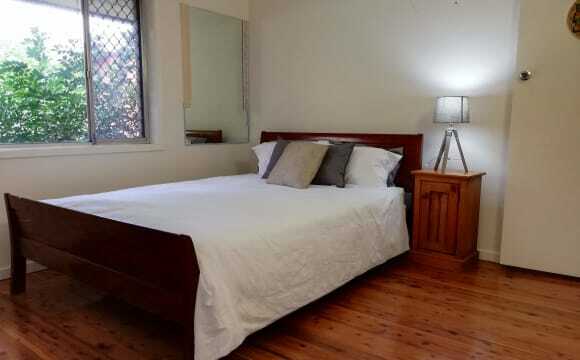 - Large fully furnished with QUEEN bed, built in wardrobe etc. - Shared bathroom - Clean house with floorboards/tiles throughout, giant kitchen and lots of room and storage. - 5 mins WALK to M2 buses (and future train) to CBD, Macquarie University, Macquarie business park and Parramatta. - 10 mins drive to Victoria Road and Norwest Business Parks, M2, M7. Clean, easy going and quiet housemates looking for the same. 6 months minimum. Bond 4 weeks 2 weeks rent in advance. Terms negotiable. My apartment is on level 5 of a 21 storey complex with a balcony facing the Blue Mountains. It is right next to Castle Towers and the new Castle Hill Metro Station which will be open mid 2019. The bus stop is right outside the Ground Floor lobby with frequent buses to and from the Sydney CBD and Parramatta. There are currently buses that also take you to Chatswood and North Sydney. There is great living space with a 6 seater dining table and a kitchen with everything you need. The kitchen is fully equipped with a dishwasher. Cosy leafy house close to shops &amp; transport. 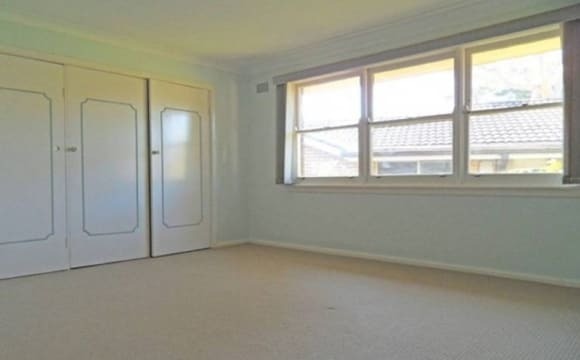 Big size room with ensuite available. Friendly housemates. All bills &amp; unlimited NBN WIFI internet included. 2 weeks bond. I am a full time professional female (29yrs) looking to share my fully furnished secured 2 bed 2 bath apartment. It's only 500mts walk to transport and 900mts to castle tower shopping centre. I’m quite friendly and approachable; less fussy and usually to myself as I have a busy work life.. on the weekends I am usually catching up with my friends or busy catching up on chores. Looking for a Dependable and friendly flatmate who is willing to help keep my flat clean and tidy at all times :) Included: 	Big spacious double bedroom with mirrored built in robe(Queen bed) 	Own Bathroom 	A garage for your car if you drive. If you don’t, it’s only 500mts walk to the closet bus stop. 	The apartment is fully furnished(TV, Microwave, Refrigerator, Dining table) To be shared: •	Kitchen •	Lounge •	Dishwasher •	Washing machine Not allowed: Pets, furniture ( your own bedding is allowed ) If you’re interested and to discuss further, please contact me. - Located in a quiet cul-de-sac, secure and comfortable. - Large and private rooms, fully furnished with built-in wardrobe, queen size bed. 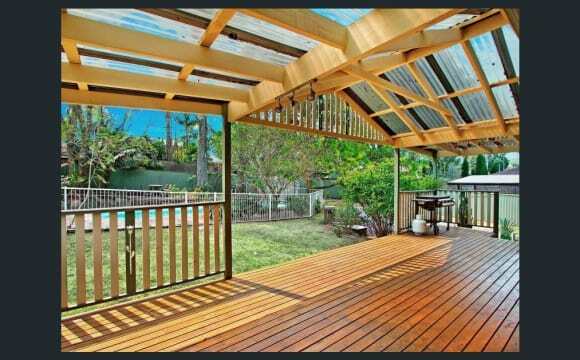 - Bills included(unlimited nbn, electricity, gas, water, etc). - Toilet and bathroom are separate and only shared between two people. - Huge yard, new pool, close to Castle Towers, Castle Mall, buses to city and upcoming metro station and all the amenities. Cosy leafy house close to shops, transport. Good size room available with double size bed, inbuilt closet. Share Bath, Separate Toilet with ONLY 1 housemate. Friendly housemates. All bills, unlimited WIFI internet included. 2 weeks bond. I have 1 room to rent in my apartment at Old Northern road castle hill right next to Castle Tower and soon the new Castle Hill Metro Station which will be open mid 2019. Bus stop just right outside the lobby with buses running frequently to and from the Sydney CBD and Parramatta. There are buses that also take you to Macquarie Centre &amp; Macquarie University Station, Chatswood, North Sydney, Blacktown, West Pennant Hill, Dural, Glenorie and Rouse Hill. The room is fully furnished with Queen Bed, bedside tables and built in wardrobe. The room have big sliding door with access to balcony with gorgeous view. The apartment has Blue Mountain View from the living room. My Roommates will have access to the common area of the apartment, living room, kitchen (fully equipped with a dishwasher), laundry and bathroom. Your cut will be $250/week include Electricity, gas and water. Apartment features Air-conditioning, Electronic security Elevator / Lift, Washing Machine, Dryer, Dishwasher, Balcony, Neighbourhood views. just regular house with no pool. front yard is mostly for parking, and a small back yard which is almost ruined since we only use it when we have barbecue (the fear of spiders). Internet and water covered. Split bills on electricity and gas. It is approx. 2 minutes away from future Castle hill Train station. It is walking distance from the Castle hill mall and Castle towers. There are a lot of bus stops near the shopping centre as well. The apartment will be available from May 8th. It is a 3 bedroom apartment with two rooms to rent each is about 150 feet.The apartment is in excellent condition. I also go to Hillsong Church at Baulkham hills and might be able to provide transport. For more info and any interests private message me, thank you. 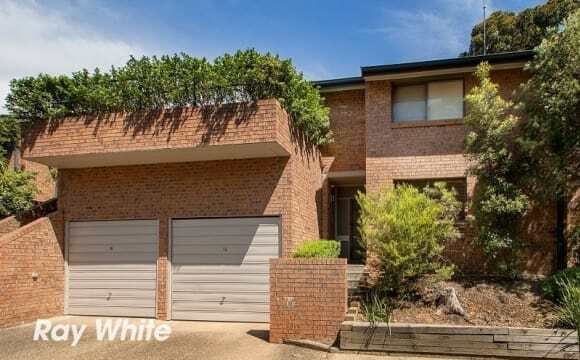 Unlimited Nbn network, easy walk to Rsl, bus, castle tower shopping center. Newly Renovated high ceiling Bright houses ( fully furnished ) located in the heart of Castle Hill.Veranda, large front and backyard. 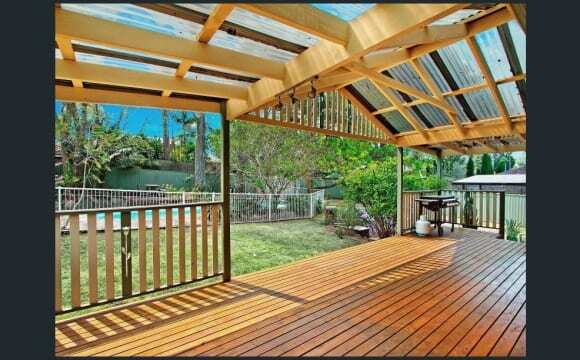 Features: 5 mins walking to Castle Tower, Bus Stop (to MQ uni, Parramatta ) and future train station. Modern kitchen equipped with Island Caesar stone beach top, kitchen utensils, glass kettle, etc New fridge, oven, microwave, washing machine, air-conditioners, lightings, paintings, curtains and furniture. 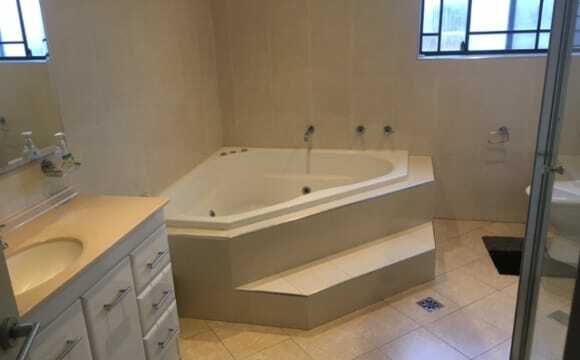 Full bathroom with bath and shower. individual toilet. Room 1: $205. double bedroom with built in Wardrobe, wall to wall window. wooden bed and bedside table. Painting. Bill includes NBN unlimited internet, electricity and water. Our home is welcome to anyone young adult who loves to have a chat and can get along with our other housemates, at the moment there are 2 males and 2 females. Because I love playing music in the house and we live on the main road in Castle Hill, I would hope you're not picky with background noise and love being outdoors as we've got a big backyard you can make use of. I am looking for someone whose clean and tidy, which is a must! As all our housemates clean up after themselves, so there are no need for cleaning rosters. The location is best for someone who may not have a license as we are about a 5 minute walk to Castle Towers, its bus stop and the new train which will be coming up this year. If you do have a car we have available space off street. The room available is only a single room which is quite small but you will have a balcony and is quite cosy. Rent is inclusive of all bills and internet. We have air-conditioning, a washing machine and a fully furnished house so all you will need is your bed and belongings. Please message me if there are any questions or enquires. Furnished bedroom in a super huge home. 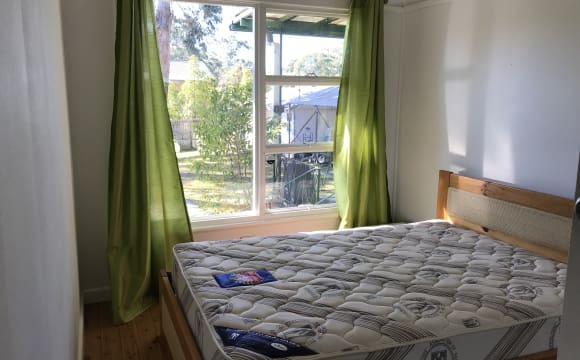 single room with king singlle bed GREAT LOCATION If you work in the CBD/ north sydney, parramatta castle towers, blacktown or any other key locations it is very quick and easy to get to and from this home. It is only a 2 mins walk to the bus stops to the key locations. THE ROOM - linen to be purchased on your own for hygienic purposes. WHAT WE ARE LOOKING FOR: - mature, fun and responsible and easy going people. - people who are extremely clean, and are willing to do help with the cleaning duties (there is a Cleaning Roster), and who clean up the kitchen to a high standard each time they have used it PARKING There's plenty of free street parking THE REST OF THE HOUSE - The rest of the house is very clean, very spacious and with very large rooms which are fully furnished throughout with modern furniture. Plenty of living areas. Rumpus area for pool table/ lounge area equipped with sound theatre system where you can watch movies in the big screen without having to spend money at the movies, quiet rumpus area upstairs. backyard and upstairs balcony spaces available too. With all these spaces you will always find somewhere quiet or be able to entertain a few friends every now and then :) - The kitchen is fully equipped for all the things that you need for cooking and eating - There is an internal laundry with washing machine and plenty of drying space in the backyard - There are 2 large fridges and plenty of storage space in the kitchen for all your food - Outside there is a sunny courtyard with a charcoal barbeque - Everyone that sees the house says it is the cleanest and nicest house they have seen, and that it is really big and spacious - Everyone comes from different nationalities and hence someone who doesn't question nationalities would suit this environment. 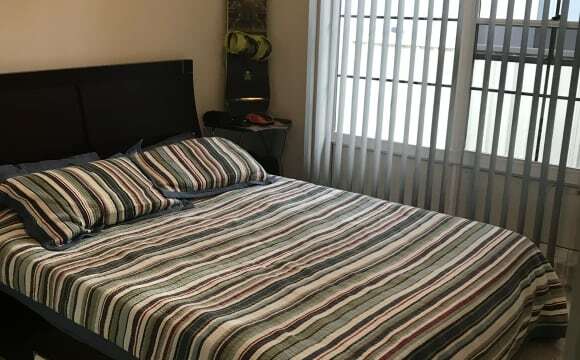 SPACE AND COMFORT IS WHAT YOU AFTER IN A GREAT LOCATION: 1.Queen Bed Room is for renting in a beautiful flat with large Built in robes for professional SINGLE girls sharing. 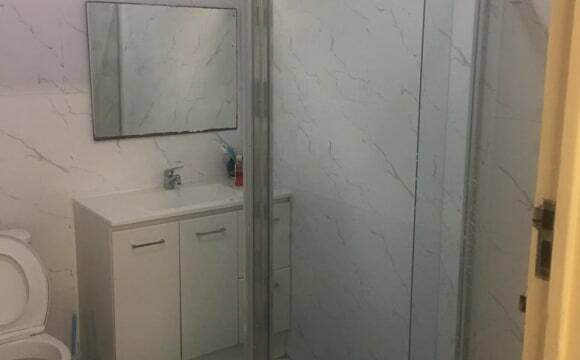 RENT Private Bathroom with a spa tub.. GREAT LOCATION If you work or study in the CBD, Parramatta or any other key locations, the bus stops are just 5 mins walk way. Stops going to CBD, Parramatta, Norwest, Rouse hill, Blacktown. 6 mins walk to Castle tower shopping centre and 6 mins walk to the new train line, what is opening in May 2019. THE ROOMs - Fully furnished with a new Queen bed with ceiling fan, bedside table with lamp plus large built mirrored wardrobe. The Flat: There are endless features to this apartment that will just make feel at home as soon as you walk in. High Ceilings Large Laundry furnished with washing machine and drier. 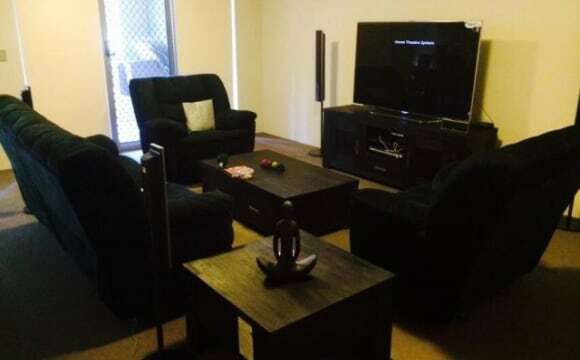 -Modern and large lounge room with Samsung smart TV, unlimited internet usage. - Large balcony furnished with tables and chairs, - LARGE Fully equipped kitchen -Formal dining and leisure dining areas. PARKING: Free on street parking ! One lock-up garage space available if needed ($50 a week) WHAT I AM LOOKING FOR: - Responsible but yet fun people who are able to get along with any culture background and can communicate maturely without creating conflicts :) in other words, no serious personalities. - People who are clean and tidy, and willing to help with the cleaning duties ,especially keeping the kitchen and bathrooms to a high standard. - And who can stay at least 3 months or longer term. - Lastly, no pets or children , visitors can’t stay overnight : 2 weeks rent in advance 3 weeks bond and Your own furnitures are not allowed apart from your own beddings. A quiet, well-maintained property situated within a 5 minute walk to Castle Towers, the new Castle Hill Train Station and the Bus Interchange. 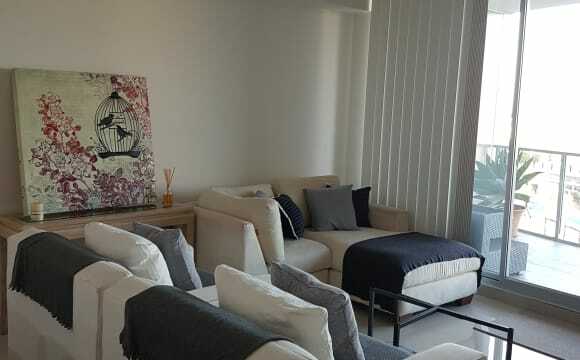 It is a proper two-storey townhouse, unlike many of the apartments that you will find in Castle Hill, so you will have more space and an actual backyard. It is also more peaceful than the noisy and overcrowded apartment precincts. It has air-conditioning both upstairs and downstairs. Unlimited High-Speed NBN. Your private room is fully furnished with a new single bed, a desk and chair, TV and entertainment unit. You also have your own private toilet and bathroom. If you want to apply, please include a bit about yourself in the initial message. Ps. I really do feel more comfortable if you have a picture - call me crazy but if I'm going to show you where I live with a view to you potentially moving in I at least want to know what you look like.